Please remember that things change. Shops run out and never restock! I try to keep this up to date, but if you know something I don't, please tell me! 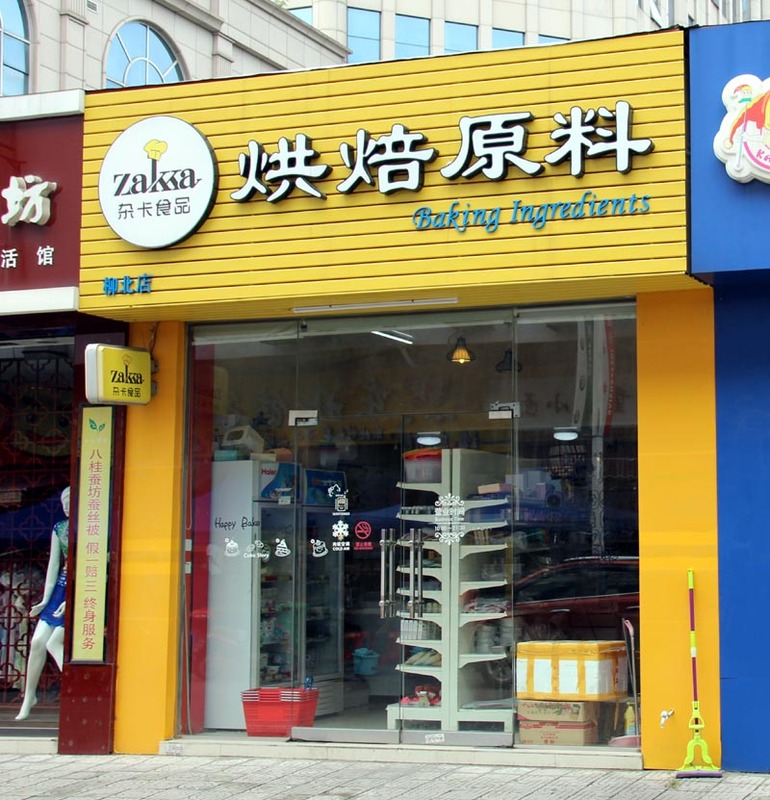 This page is about the availability of Western food in Liuzhou. Chinese food is everywhere from supermarkets to street markets and hardly needs any guide. By western food, we mean those things which are more commonly used in Western cooking. So, although olive oil is widely available, it is included here because it is not usually used in Chinese cooking. Availability of Western foods is still limited although it is much better than ten years ago when there was only one shop selling very little. Unfortunately, there is no one shop specialising in western foodstuffs. 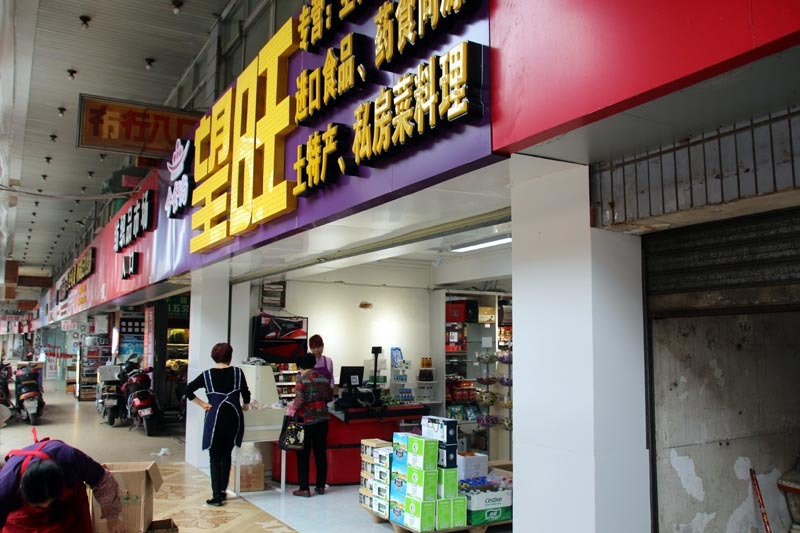 Back in July 2007, Nanning's western food store opened a branch in Liuzhou. In a shambolic display of utter commercial ineptitude, they opened their shop in an obscure housing block in the north of the city and issued zero publicity. When very few people went, they came up with the brilliant idea of saving money by only opening two weeks each month. Of course, no one could ever remember which two weeks. After six months the place closed down. The Nanning shop has since closed, too. So today, you have to visit a selection of outlets and see what they have! But remember, what they have today, they may not have tomorrow. Chinese shops are notorious for stocking goods which sell like the proverbial hotcakes, then never restocking! If you know of any other shops selling anything interesting please contact us with the address and what they sell. Many thanks. If you head down the pedestrian street from McDonalds and the Xinhua bookstore towards the river then head along 曙光东路 shù guāng dōng lù heading towards Dong Men (East Gate), there is a shop on the right which has a selection of western foodstuffs. The chaotic shop has a bizarre selection of stuff. They get things in, sell them and never restock, but replace them with something totally different. It is good on nuts and beans, sardines, liver paté and odd sauces. From time to time they have Heinz baked beans, Bovril, canned lentils and other delights. Definitely worth an occasional inspection but always check expiry dates. A bit away from the city centre but worth an honourable mention is this branch of Zakka, a tiny shop in the north of the city. It specialises in bakery requisites, but also has a freezer of meat products such as pepperoni and various steaks, as well as yoghurt starter etc. The shop depicted is next to the northern branch of RT Mart, the supermarket. Facing the entrance, you can see a row of small shops running down the left hand side of the RT building. Zakka is about half way along. If you know of any other goodies, please let me know.